In 2011, the Alchemist Pub and Brewery closed its waterlogged doors after a brutal bashing from Tropical Storm Irene. That left Waterbury without a proper brewpub, but, soon after, the owners of the Reservoir Restaurant & Tap Room, Mark Frier and Chad Fry, purchased a one-barrel brewing system from 14th Star Brewing when that brewery upsized. The idea was to start serving housemade beer ASAP — Frier has been an avid homebrewer for years — but the project kept getting pushed to the back burner. In 2013, Prohibition Pig started making its own beer in the old Alchemist space. Then Frier and Fry turned their focus to Stowe, where they opened the Bench last October. Recently, however, Frier returned to brewing and moved the system from his own kitchen into the Waterbury restaurant. With a hoppy pale ale fermenting now, he hopes to debut his house suds in the next couple of weeks. "Our goal is to do small batches and do them really well," Frier says, "and then expand from there." As spring approaches, he plans to flesh out a series of "Hi-Res" brews — double/imperial-style beers — as well as a "Low-Res" set, which will be sessionable and easy drinking. 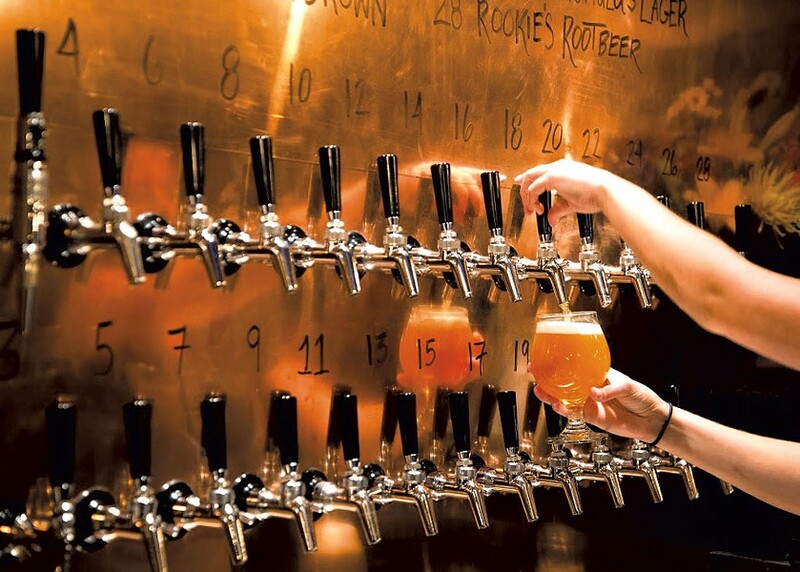 The restaurant will devote just one or two of its 38 draft lines to the house beers. "We just want to dial one [recipe] in and go from there," Frier says. Sold under the label Big Tree, the brews will be available exclusively at the Reservoir, since distributing beyond the pub would require setting up a separate distribution company. But Frier is eager to go public with his brews. On Thursday, March 12, the Reservoir will launch a monthly beer dinner series, the first of which pairs suds from Burlington's Zero Gravity Craft Brewery with dishes from chef Shawn Beede. The brewer hopes to feature his house beers at dinners to come. The original print version of this article was headlined "From Taproom to Brewpub"